The KAL-D Series by KOBOLD is most suitable for applications that require a compact, effective thermal flow switch. It uses the calorimetric principle to monitor the flowrate of water-like liquids. The sensor tip is heated and then cooled by the liquid passing it. The cooling amount is proportional to the liquids velocity within the system. 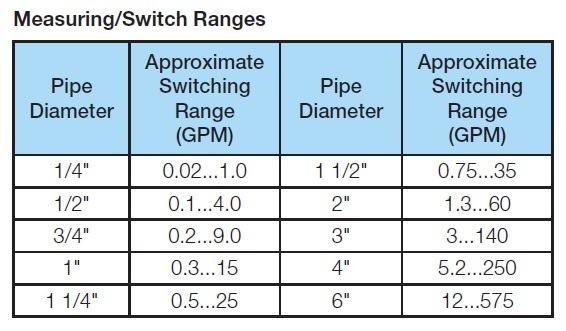 This flow switchhas a field-adjustable setpoint that the liquid velocity is compared to. When the setpoint is reached, a transistor switch is engaged. There are no movable parts which makes it very reliable and will not be effected by dirt or solids. Extremely minimal system pressure loss can be expected due to the insertion style probe. Each KAL-D Thermal flow switch is equipped with a Micro-DC plug, 4-pin, male connector.